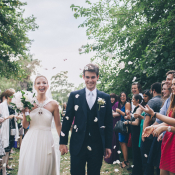 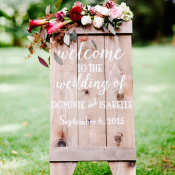 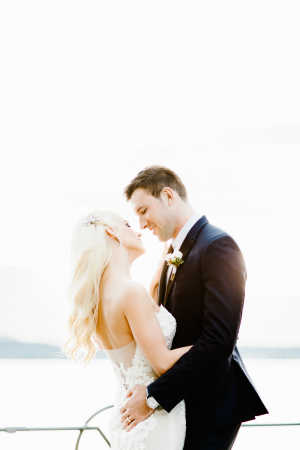 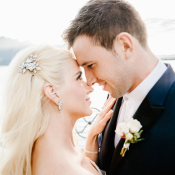 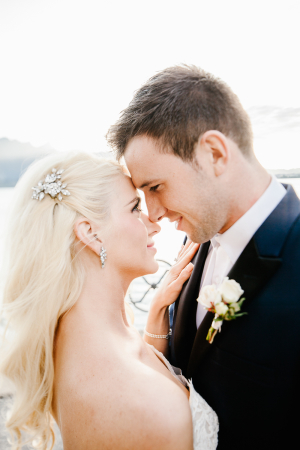 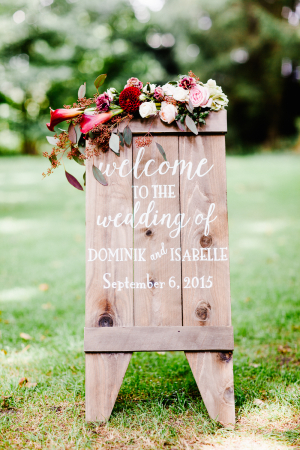 Isabelle and Dominik have a true fairytale romance! 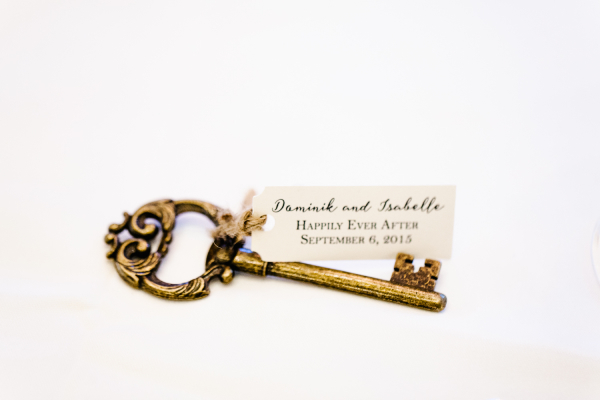 The couple met in Miami, when Dominik was visiting the U.S. for the first time on holiday. 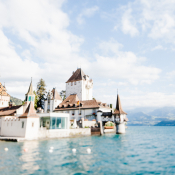 Though he spoke little English and she no German, they instantly connected and within two weeks had booked a trip to Paris together. 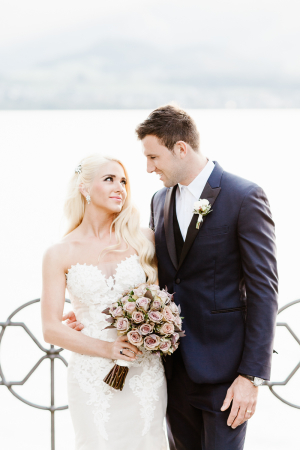 After four days in the City of Lights, they each knew without a doubt that they were in love and over the next year, they flew back and forth between her home in the U.S. and his in Switzerland for visits. 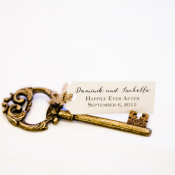 At long last, a year later, Dominik relocated and the rest is history! 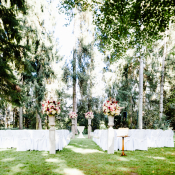 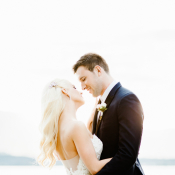 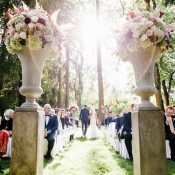 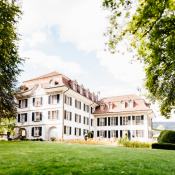 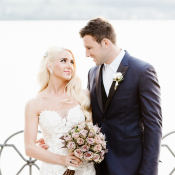 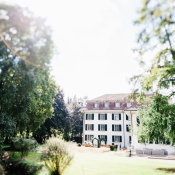 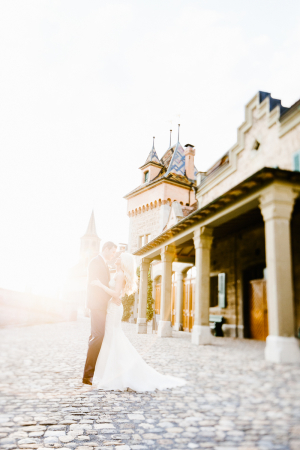 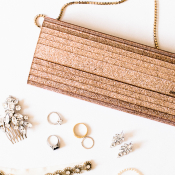 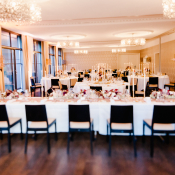 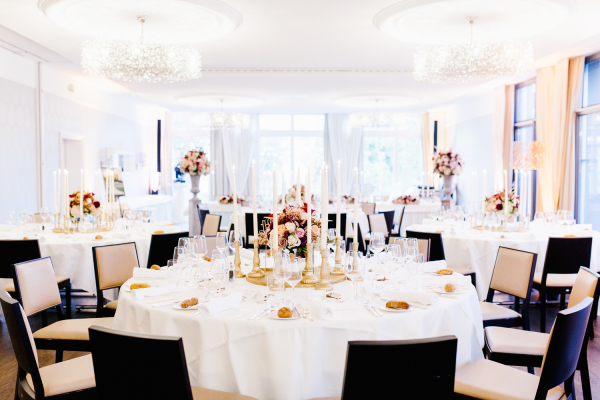 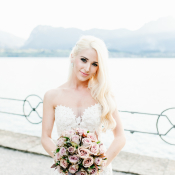 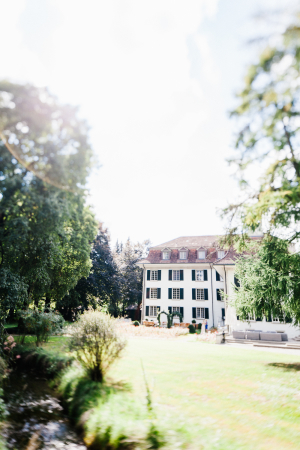 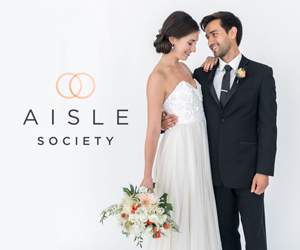 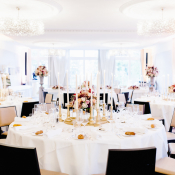 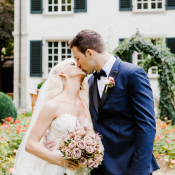 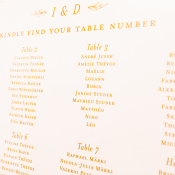 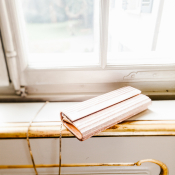 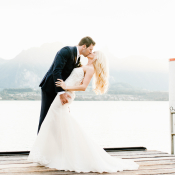 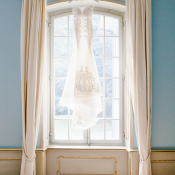 Their September wedding was held in his native Switzerland at the gorgeous Schloss Hünigen, and Isabelle planned the entire day from afar with the help of Skype! 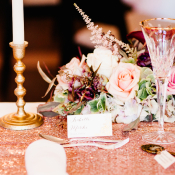 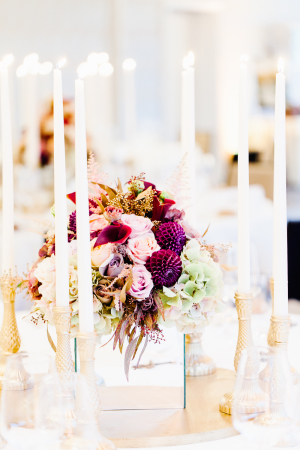 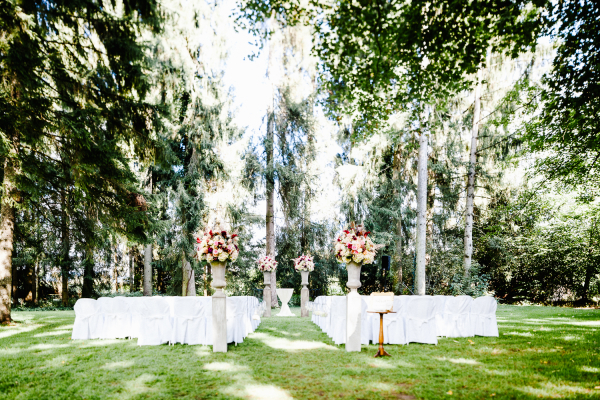 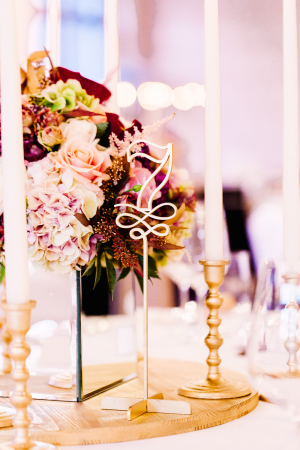 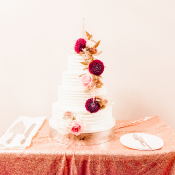 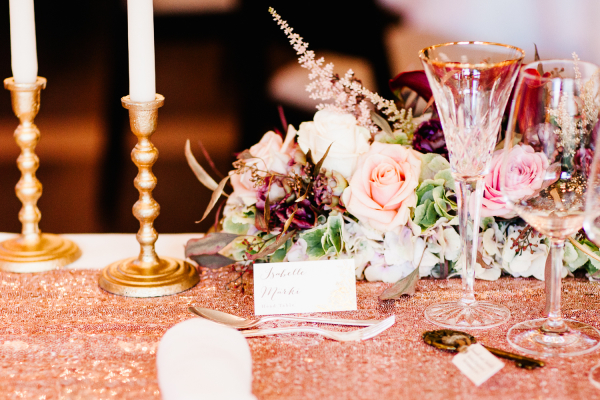 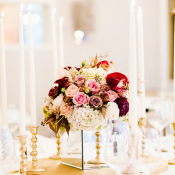 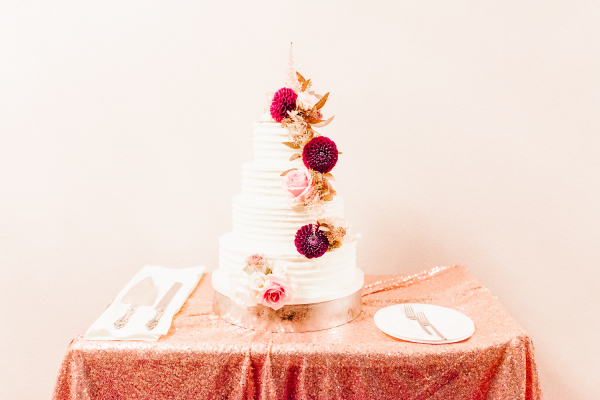 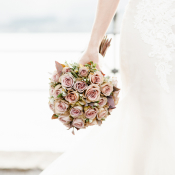 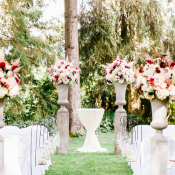 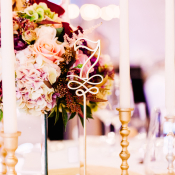 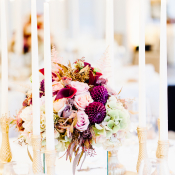 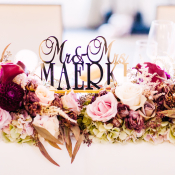 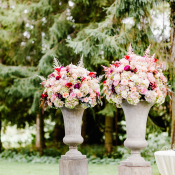 TABEA MARIA-LISA floristik & dekoration designed the florals in shades of dusty pink and burgundy, which blended beautifully with the setting at Schloss Hünigen. 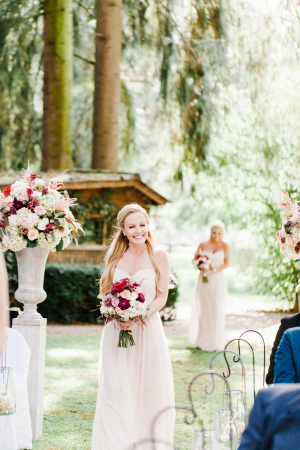 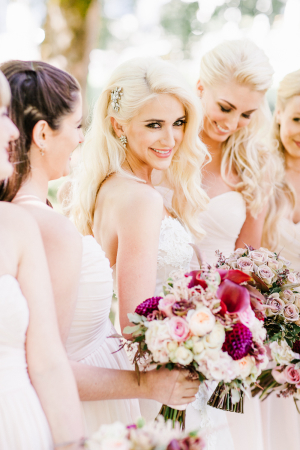 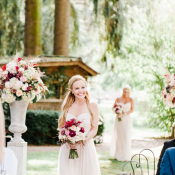 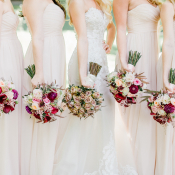 Blush Monique Lhuillier bridesmaids dresses and Isabelle’s Ines di Santo gown were glamorous and perfectly appropriate for a storybook destination wedding! 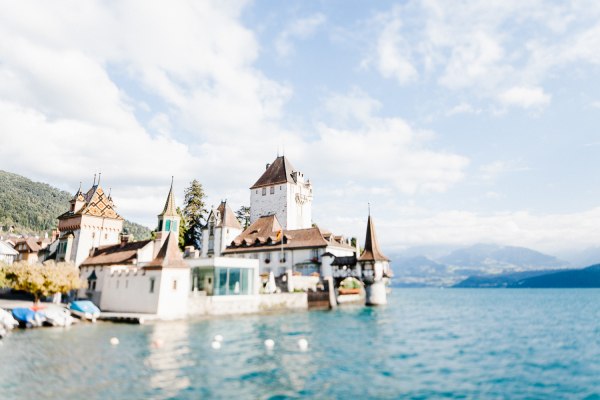 We simply adore the amazing images from Toldofoto—prepare to be transported to magical Switzerland!